I went to the Whites Creek Farmers Market, and to Darcy's PhD Boys and Girls Club Veggie Project, and I bought about a pound of tomatoes from each of the farmers. The tomatoes totaled about 5 lbs. At the Whites Creek Farmers Market, I also got a bunch of yellow onions, poblano peppers, garlic, big bunch of basil, and little hot green chili peppers which name escapes me right now. For over 5 years now, I have been wanting to try and make oven roasted tomato sauce for spaghetti, and finally I got to right ingredients to d0 it. Over 5 years ago, I must have been home sick from work because I was watching Martha Stewart. She made this tomato sauce in the oven that looked way too good. She thick sliced a bunch of tomatoes, put them in the oven to drive off a lot of moisture, put the semi-dry tomatoes in a food processor, and the result was oven dehydrated tomato sauce. Of course Martha said to start with homegrown tomatoes, and I have never lived in a place that had land before. So, 5 years ago when I finally got 10 sq. ft of yard, I planted tomato and pepper seedlings, onion, garlic etc in my tiny yard, and I had visions of being Martha and making this oven tomato sauce. To my surprise, the lovely maple tree out back provided a lot of shade for my plants, and there were no veggies to be had. I have been living with this dream of oven tomato sauce for so long, but I did not want to make it until I could get the right base ingredients. So, finally, with farm fresh, locally grown, and organic ingredients, the stage was set to make Martha Stewart's oven tomato sauce. To start my sauce, I put 1 cm thick slices of tomato, chunks of onion, garlic, chunks of poblano peppers, and one really hot chili pepper with a little drizzle of really good olive oil on everything on the jelly roll pans. I put the pans in the oven for about an hour at 350-400F to bake/roast the veggies and drive off some of the moisture. When the roasted/baked tomatoes became caramelized around the edges, and the onions and poblanos got a little charred around the edges, I put all the veggies, including all the caramelized bits, in a blender for a couple seconds to rough chop them to a chunky sauce. I put that chunky sauce in a sauce pan over low heat to keep the sauce warm. I added a few shakes of Worcester Sauce, a couple pinches of salt, lots of fresh rough chopped oregano, lots of thyme, a few shakes of red wine, and a touch of honey. 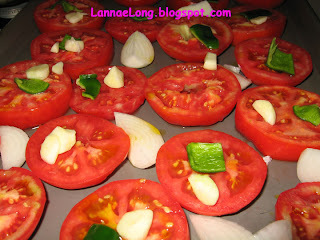 When the sauce was about ready to serve, I put a lot of slivered basil into the sauce. 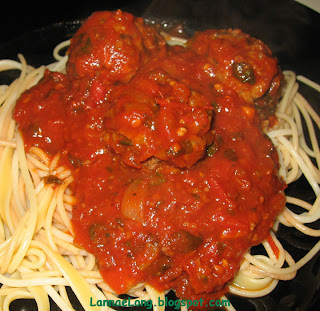 the meatballs, sauce and pasta, yummo! With a knife, mince garlic, onion and herbs together. 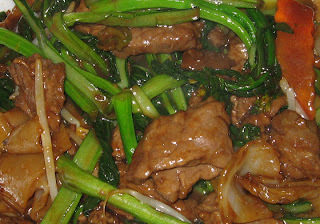 Put all ingredients in a bowl and mix with your hands easily, and do not over mix (don't break up the beef too much). My meatballs looked like there was just too much herbs in the mix, but in the end it was just right. Form 3 cm diameter meatballs. 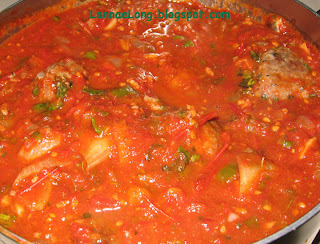 In a frying pan, add a small amount of oil and fry the meatballs until browned on all sides. Pour all of the frying pan contents into the tomato sauce. The locally grown, free-range cow-ground beef was so tasty and good. It definitely was not from a grain fed cow because it had a more intense beefy flavor than any grain fed cow can have. 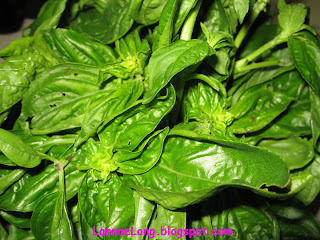 The fresh herbs, garlic, onion and chili pepper added that umami flavor to make you want more. These were the best locally grown (except for the bread crumbs, salt and pepper) meatballs I have ever had, and the best meatballs in any of my memory. Sorry John, my former Italian roommate who used to cook up good meatballs and sauce, I think I found a meatball and sauce combo that will blow yours out of the water. Lastly, Martha Stewart, I hate to admit it, but yours are right... it is a good thing to use the freshest, local, and best ingredients. 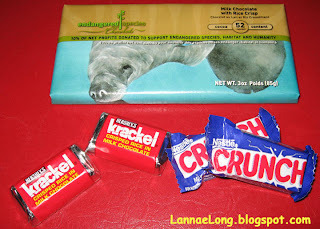 Rice Crispy and Chocolate taste test. 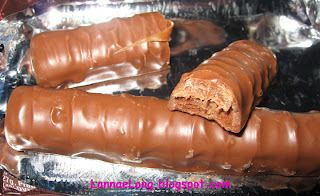 Chocolate on chocolate on chocolate. All gone! Noshville is in midtown Nashville, not too far away from Vanderbilt University, and a bunch of big hotels that support Vanderbilt and the Vanderbilt Medical Center. Noshville's theme is about the NOSH - a Yiddish word for snack or to eat a small meal, as long as you think a turkey platter full of food is a small meal. The plates of food here are huge, and include all the kosher favorites like pastrami, corned beef, and beef tongue. They also have lightly pickled dill pickles. They also serve breakfast items like corned beef hash, potato pancakes (latkes), eggs etc, but I have never had breakfast here. One night I really wanted pastrami. I wanted hand sliced Pastrami with extra fat like you get at Katz Deli. Well, in Nashville, we can't get that. So, I settled for machine cut pastrami without the fat. I also wanted potato pancakes. 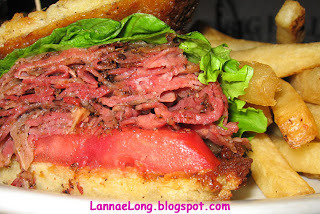 And Noshville in Nashville has a sandwich that is a PPPLT, a Potato Pancake Pastrami Lettuce and Tomato Sandwich. 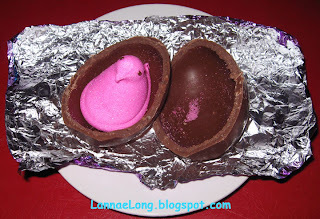 It was surprisingly good, and it satisfied all that I yearned to nosh. The potato pancakes were crispy on the outside, and the lettuce gave a freshness to the heaviness of the fried potatoes and the pastrami. It was a well conceived sandwich by Noshville. I think they should patent the sandwich, so that all the other restaurants who make it have to call it the Noshville. Manny's House of Pizza is located between 4th and 5th Ave N. just north of Church St, and in the historic Arcade walkway. The House of Pizza is near the Peanut Shop, which has many after lunch treats, and upstairs on the 2nd floor of the arcade are curator owned art galleries displaying all styles of art for all types of tastes. Everyone who even has a hint of liking pizza needs to try House of Pizza because it is so GOOD! Manny Macca is from New York, and moved down to Nashville for some reason unknown to me. 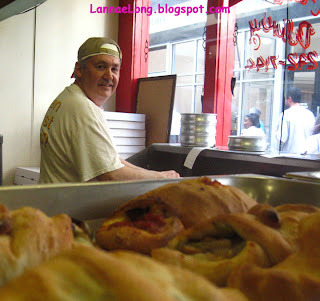 At some point in time, Manny opened the House of Pizza in the Historic Arcade in downtown Nashville, and his pizza became a hit for over a decade now. He has real fire powered pizza ovens, so when the power goes out, you still got pizza from Manny's House of Pizza. The first week I was in Nashville, my co-workers were asking me where I had been, and I said L.A., Boston and Philadelphia. When I was in Boston, there was the North End, which is known for its Italian food, and long standing Italian traditions. If you ever go on vacation in Boston, everyone will direct you to at least one dinner in the North End, and just go eat anywhere in the North End. They are all very good. My neighbors down here in Nashville were going to Boston for a biz trip, and they asked me where to eat. I said, the North End, and just go anywhere to eat. They looked at me puzzled that I did not give them a specific restaurant name. When they got back, they totally understood, and they ended up eating every dinner in the North End. No matter where they stepped into, they knew that they picked a winner. The North End Italian Food Tradition has pride, has great family recipes, they never cut corners, and they only put out what is right and what is best for the clients. 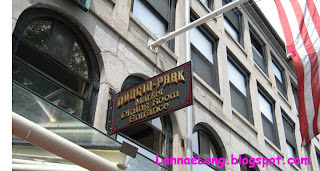 In the afternoons at lunchtime, when I lived in Boston, there is an area half way between Boston City Hall and the North End called Haymarket Square, and open air market. There was a window of an old Haymarket building that housed a "pizza by the slice" window where you can get plain or pepperoni, that was it. I don't know the name of this place, there was no sign, and everyone who worked in that area just knew of the lunch window. It was a bit Seinfeld-esque soup nazi, as you had to have your money ready and know what you want just to keep the line moving. It was the real deal, thin crust, a little bit of char on the botton, oozy cheese and and just the right amount of sauce. This place wasn't messing around. All this, and this is what Manny had to measure up to, this long standing tradition that I had grown accustom. I will say this now. I love Manny's House of Pizza, and it completely measures up!! 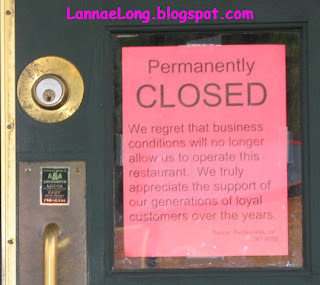 The menu doesn't change, and everything is made fresh daily, so they may run out, so get there early. 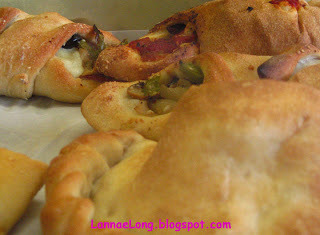 They have pizza by the slice, whole pizzas, calzones, strombolis, lasagna and salad. When I first got here, it was a bit Seinfeld-esque at House of Pizza. Line up, know exactly what you want, order and they put it in the oven for you, pay and Move Out of the Way to wait for your meal, so the others in line can put their order in. Then, they call out what you ordered, you step up and take the paper plate, and find a seat outside in the Arcade or in the dark sitting area in the back. 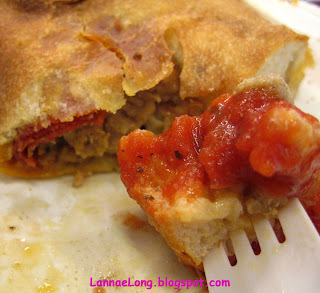 Then take a bite, and know that this is how a New York, or Boston piece of pizza is like. I love this place, I love the calzones, I love the pizza, and I love this place. I did I say I love this place? I love this place. So the stories and lore around this place is that Manny buys his flour from a mill in Brooklyn, the same mill that supplies flour to Famous Ray's, Ray's, Ray's Pizza, and every other great pizza joint in New York. The foundation of a pizza is the crust, and if the crust is not right, then the pizza will never be right, no matter what cheese or toppings you use. The sauce is made every day, it is consistent and perfect all the time. I could drink that stuff, it is so good. If there is a line for pizza, it will move fairly quickly and it is worth the wait. Go there and tell Manny, and tell him Lannae, the Asian chick who loves his pizza, sent you. For this summer, most everything that we are eating in my house are locally grown veggies and meats. Last week I went to the Whites Creek Farmer's Market for my veggies, honey, cheese, and the Nashville Farmer's Market for my meats and fruit. I got home with all this great stuff and decided to make a yellow coconut curry stew. I have decided that my flavorings for food can be international because there are so many great flavors in the world. I just don't want to be stuck with just onions, garlic, thyme, oregano, sage and basil. So how did I make this dish? Well, it includes a can of coconut milk, and a can of pre-made Thai yellow curry paste. I have made my own curry paste before from base ingredients, but boy, what work that is. 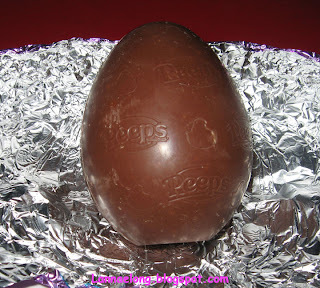 It is ultimately worth it in fresh flavor that would WOW your friends, but... Remember, I am a lazy cook, and canned curry paste and dinner on the table in under 1 hour is a delight for me. All my ingredients are locally grown except for the sauce. 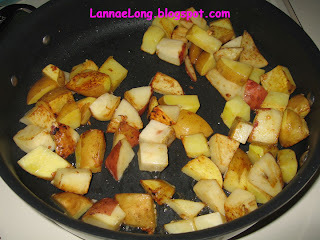 I browned two different kinds of white potatoes in a little bit of local bacon drippings that I have been keeping. Yummy smoky goodness! 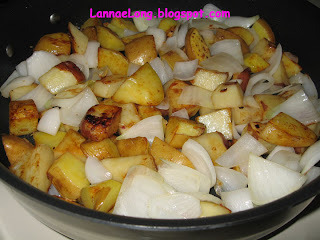 I cut up a couple small onions, minced a few cloves of spring garlic, and dumped them into the pan with the potatoes to sweat. I dumped in on top of the potatoes and onions, zucchini, yellow squash, carrots, and chard and beet stems to give a crunch like a celery stock would. 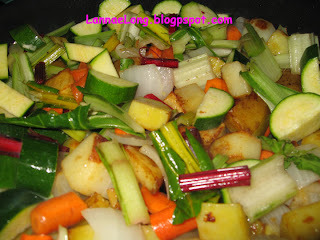 I wanted this veggies to be crisp, so I did not let them cook in the pan too long before I added the curry sauce stuff. 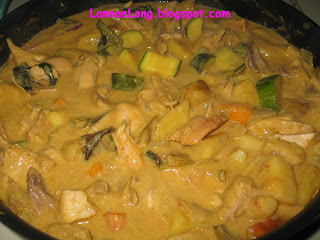 I added slices of chicken, poured on the coconut milk, curry paste and a few shakes of fish sauce (aka liquid salt). Curry in the Thai theme never seems right without a shake of fish sauce. For vegans, soy sauce will suffice, but Thai themed curry is sooo much better with fish sauce. 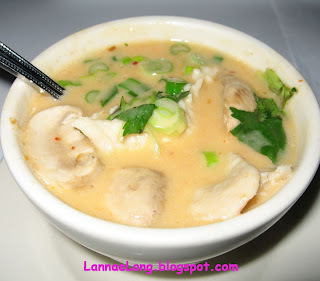 The fish sauce is what makes the Thai food characteristic, as toasted sesame oil makes the Chinese food characteristic. This was a delicious dish (not to be confused with SNL's delicious dish). I may have to stop into my local Asian Market to get more coconut milk! There is this area south of town that is like any generic, unplanned sprawling suburb. There are every chain restaurant, every big box store and almost every chain store you could possibly want. In this jungle of strip malls is this little lovely chef owned restaurant called Basil Asian Bistro. We have gone there a few times now, and the food is really good. The owner is Laotian, but she does not have Laotian food on the menu because she said customers would dislike it and never come back. She wants customers to come back again and again. She has taken elements from Chinese, Thai and Vietnamese foods and made an Asian fusion menu. Tastes are familiar, but not from one particular region or country. We had a dinner gathering of a dozen people last night at Basil Asian Bistro. Most of the people in attendance live in the downtown Nashville area, and do not traverse Cool Springs that often. All the downtowners had a hard time finding Basil because it is in one of the 100s of generic strip mall buildings in this area. Everyone finally made it. I will tell you, the downtowners were a bit skeptical that this place would be good, as it is in Cool Springs. They were expecting generic food in a generic box building, but agreed to come dine with everyone to share and chat. But, once they got into the restaurant, their skepticism melted away, and were pleasantly surprised at the sophisticated decor, the service, and food. Everyone seemed to think that they would enjoy dining at Basil again. My hope is that the owner decides to move Basil up to Nashville, and it can be local to me instead of a 15 miles drive to the 'burbs. I will be keeping an eye out for the perfect spot for Basil, that is for sure. If you can find this place amongst the sprawl, it is worth going to. To find this place, it is near the Walgreens, CVS and Domino's pizza place. At this time the land across the way was just leveled for yet another strip mall. 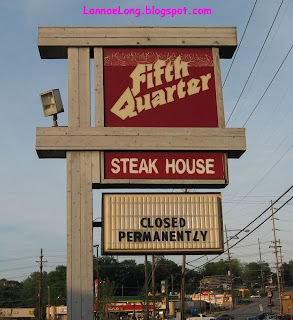 If you can recall, my last "non-local" meal before entering the Eat Local Challenge, it was a prime rib and salad dinner at the Fifth Quarter in Nashville. The deal is, I love prime rib, and the 65 item salad bar is always fun. I thought that I probably would not eat there again until next year, but we happened to be driving by, and I decided that I wanted one of my birthday dinner's next month to be at the Fifth Quarter because they were the best makers of a rare prime rib. But this is what we found. I guess the charm of the original 1970's decor and Gallo wine wasn't holding the modern diner captive. There are few other steak houses in downtown and the west end of town, some which are quite expensive, some that are chains, and all of them that I have been to cannot make a good rare prime rib like the Fifth Quarter. OK folks, I guess I gotta move on. Sorry Fifth Quarter, sorry to see you go. Dorchester, MA has gone through many changes in its 400 year history. 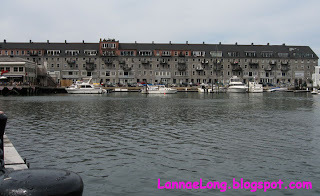 In colonial times, Dorchester used to be the original suburb of Boston, has a huge hill called Savin Hill, and has a fabulous view of the south side of the Boston Harbor. This area became popular with the rich sea captains and other wealthy people and they built lovely Victorian homes in the Boston 'burb of Dorchester. Each home on Savin Hill had a 2nd or 3rd story room that had an amazing view of the harbor, and for sea captains' wives, they could watch their husbands' tall ships go in and out of the harbor. Then in the mid- to late-1900's, Dorchester fell from the the rich 'burb of Boston to a depressed ghetto state because all the rich people moved from the ocean view to the revolution 'burbs of Lincoln, Sudbury, Concord, Lexington, etc. It was no longer in vogue to live in the city. The lovely Victorian homes fell into disrepair, and Savin Hill was then commonly known as "Stabbin' Hill". Gangs, hopelessness, and crime took over this area. I will admit, in the 1970s - 1990s, my family did not go into Dorchester because of all the news about "Stabbin' Hill". Now, things area really turning around for Dorchester as people are renovating the lovely original Victorian homes on Savin Hill. This area has a good mix of ethnic and Bostonian history, so there are old neighborhood hangouts as well as innovative new restaurants and bars. 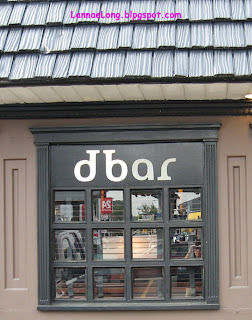 We ended up going to dBar on Dorchester Ave. This place took an old Irish Bar, and rehab-ed it to what it is today. As you can see from the facade, the old Irish Bar feel is still available, but the food and drinks are up-to-date. One thing you must know about Boston is that there seems to be a bar or old Irish pub on every corner, and a church on the opposite corner. The bars and old pubs in Boston are like their kins in Great Britain, just really comfy places for people to gather and chat after work. That is exactly what we did on a Friday. We met some of our friends after work at the dBar for some drinks, chats and dinner. Some of the food we got were tuna tartare, locally caught bass over lentils, dBar tostadas, and what you see in this blog post. 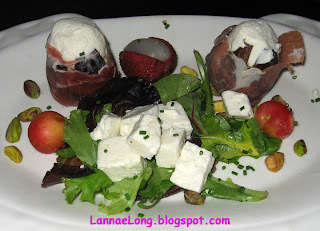 The salad, as seen above is a lychee and goat cheese wrapped in prosciutto with a feta salad. It was good, but a bit overwhelmingly. I think that less goat cheese and prosciutto would have served the lycee better, and there was way too much feta, and the feta just drowned out any of the natural lettuce flavor. It was actually a bit much for me with all the ingredients with high a level of flavor and texture. The hangar steak was really good and straight forward. 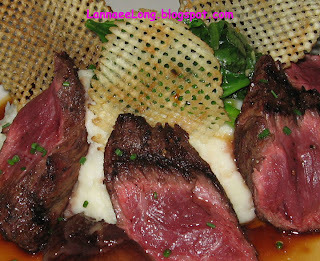 The steak was made in a way that wasn't tough, and they dish represented the standard meat and potato well. I am glad that Dorchester, MA is coming back around to its historical splendor, and Savin Hill can regain its rightful name. The dBar, I believe is here to stay for a while, and it is a perfect 21st century place to meet friends after work for a drink, snacks or dinner. 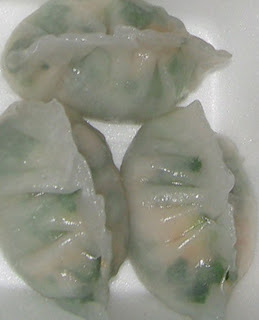 Another food I just cannot get in Nashville is Dim Sum. Whenever I am in New York, San Francisco, Boston or Chicago, it is a required meal for me to have Dim Sum. When I was in Boston a couple weeks ago, the only scheduled meal outside of the reunion was with my mom for lunch and we were to get Dim Sum. I had expected to go to one of the Chinese restaurants in the small, but vibrant Chinatown in downtown Boston, but my mom had the hookup that was right on the Green B-line near B.U.s campus, the Super 88 Market and Asian Food Court. The Super 88 food court is a bit utilitarian, with the original concrete floor that the former car show room had, each table was like any mall food court, and each booth was about delivering hot food fast. There were all sorts of vendors like Dim Sum, Chinese noodles, Japanese, Thai, Korean, Bubble Tea, Mongolian, Vietnamese, and others. The vendor booths were not about visual aesthetics of the counter, the signs, or the plating. The food court wasn't even about the typical Asian food experience either. It was just about getting food out to business people, students, teachers, and others quickly, so everyone can get on their way and do their thing. I will admit, I missed the experience of the the Dim Sum cart wondering the isles of a big Chinese restaurant with a worn and dirty red carpet. 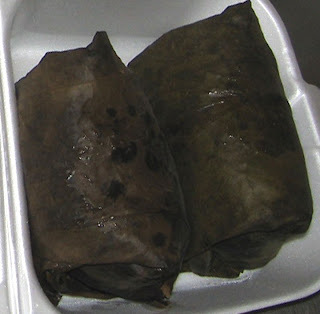 I miss the energy of of a packed room of 500+ people who are vying for that last har gau steamer dish in the Dim Sum cart as the Dim Sum cart attendant is making her way back to the kitchen to re-stock the cart. I missed the gaudy gold and red artwork filling the red painted walls of a downtown Chinese Restaurant. I missed seeing familial generations of sitting at a big round table from great grandma to the great grandchildren and watching the great grandchildren fidget in their seats because they had to wear dress shoes and look nice for great grandma. I missed the wait staff walking fast, and slapping a pot of hot tea on the table, spilling a little hot water on the tablecloth because he barely slowed down to place the teapot there. I missed the roar of the chatter that 500+ people can make while parents insist on giving great grandma and the children the best pieces of each dish; the children, stuffed from eating, loudly refusing and fussing, and not understanding the customs and traditions of this act, and they think that the parents are force feeding them, rather than accepting it as a gesture of honoring the children. This time, I missed all this. For me, food is about the whole experience - the visual and audio experiences as well as aroma, taste and texture. 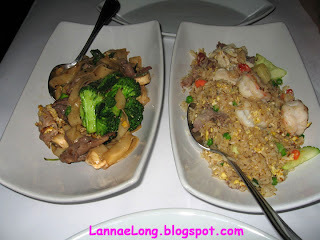 So, we ordered a la carte, many of my favorites from the Dim Sum counter and the Chinese Noodle counter. We waited a short time, and our numbers were called. Everything came in white take-out containers. Each dish tasted just about right, but it wasn't the full-on Dim Sum experience. I left Super 88 Market and Asian Food Court, stuffed. I did fill up as much as I could because I justs don't know when I will be able to get Dim Sum again. 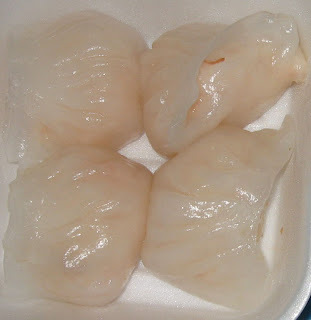 I have no current plans to go to the 4 northern cities that I know have great Dim Sum. Until next time, I will be longing for the full body experience that the weekend Dim Sum restaurant offers. It was a quiet July 4th at 7:30 am. We drove down the winding road to the super secret organic blueberry patch. We chatted happily, saying what we would make with all the blueberries that were in our future. We looked at the countryside, we looked at the cows grazing, and we had a giddiness about us. We finally arrived to the green blueberry bushes, and we got out of the car. We then were struck with doom. No, this could not be true. Blueberries bloom late in the spring, and I thought we were safe because the blueberry bushes would bloom after the freeze. I was so hopeful that the drought would not kill the blueberry flowers because we have has some rain recently. But that was not to be. 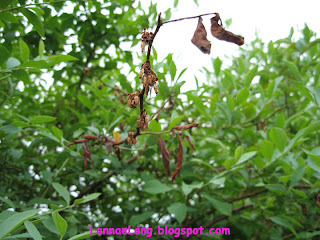 Bush after bush, there were brown, burnt, and dried-up flowers that could never become a blueberry. Oh, the pit in my stomach grew quickly. If you recall last year, there were more blueberries on these bushes than people could pick. The birds, the insect and us humans had enough to satisfy ourselves for the rest of the year. That situation is not to be this year. There will be no blueberries this year. 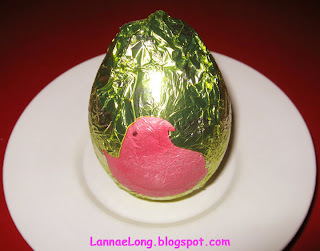 There will be no berries for the birds. There will be no berries for the insects. There will be no berries for me. For the first time, I spent a considerable amount of time in the 'burbs of Boston where my uncle's home is because that is where the reunion was. The 'burbs that I spent time in are Concord, Lexington, Sudbury, and Maynard where all the colonial, revolutionary and transcendentalist movments were all the rage many years ago. Now, this area is almost indistinguishable from any other suburb in the USA. The one thing that distinguishes the Boston 'burbs from other USA 'burbs is that there are still signs of ties to the Atlantic Ocean and cooking up a decent lobster. 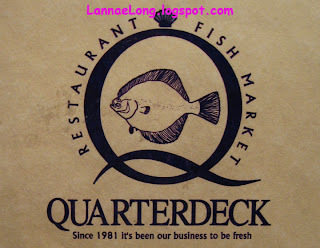 One dinner I had was at the Quarterdeck Fish Market Restaurant 177 Main St, Maynard, MA. They cooked up a really great lobster. It is just a lobster in a pot of boiling water and then served on a plate. There is no breading, there is no sauce, there are no herbs. It is just the lobster as it is. It was the Perfectly Prepared Lobster. As the lore goes, there were a lot of lobsters wondering around the shallow waters of Boston, the north shore, the south shore and Cape Cod during the beginning of the colonial movement. During colonial days, the poor, servants, and freemen without land ate lobsters because they were plentiful and they could just pick them up from the beaches. No one owned lobsters, they did not have to be grown on land, and they were there for the picking. The rich did not touch these "beach bugs". Somewhere along the history of lobsters, they became to harder to come by, and then lobsters became food of the rich. 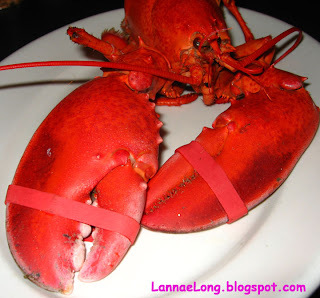 Well, I am not rich, but I did budget for a lobster dinner. I enjoy the salty, tender yet firm meat from the lobster when I can get a good one. When I was young, my mother showed me how to eat all the meat from the little straw legs, the honeycomb of the body, the claws and tail. The waitress at the Quarterdeck was impressed that I so thorough with the lobster and not let one morsel go to waste. When it is such a rarity for me to have lobster, I am certainly going to make the best of each lobster I get. To start my meal, I had some fried oysters. Before I got them, I asked the waitress what kind of oysters they were. She said they were a certain variety (which escapes my memory now) from Prince Edward Island, and she went back to the chef to find out. Yes indeed she was right. I was happy she understood my question. When I asked that in Nashville, a town in a land locked state that should not be serving oysters, the restaurant staff usually says that they are "fried". 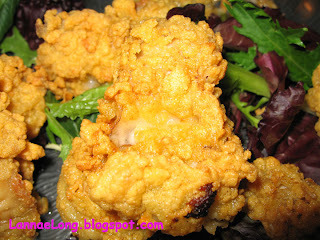 These fried oysters were fresh oysters lightly breaded and quickly fried to a light perfection. I was in heaven. So, I finished off my Mystic Pizza movie quote, "I thought the only two things that come through here were lobster and cod." It was delicious and was happy to do it. I could eat lobster and cod more often, but only eating them when I go back to see my family makes the dining experiences special. Until next time Boston, I will think fondly of my cod sandwich and my lobster dinner. So, was it one or two lanterns? One if by land, two if by sea? Or is that a myth. A shot heard 'round the world. Now that is amazing in a time without cellphones, email, or text messaging. When I was a kid, I thought it was a huge cannon that was shot in Concord, MA that caused a huge sonic boom that was literally heard around the world. Sometime later, I realized it was just a saying. It was really a few colonists, sick and tired of the British occupation, they went out under the cover of darkness, and shot and killed Redcoats off a country road in Concord, MA, then dumped the bodies into the river. There was no sonic boom. Tell your kids it was just a "saying" and it is not really a loud noise, and save them years of revolutionary history confusion. At any rate, I thought I would blog about Boston, the birthplace of the revolution that gained USA's independence, and one of my favorite meals I recently had while there for a family reunion a couple weeks ago. Boston Harbor. The multi-million condos were built in old wharf warehouses in the 1980s, and really transformed this area into a tourist destination. When we landed, it was just past the lunching hour. I had it in my mind that I needed some real New England Clam Chowder. New England Clam Chowder is made by using bacon, fat back or salt pork with cream or whole milk as the base, and then usually clams and potatoes are added to finish off the chowder. I had been thinking about New England Clam Chowder from Durgin Park, the most fabulous chowder in Boston, for weeks before landing in Boston. Since it was about 2 p.m. by the time we got to Faneuil Hall, Durgin Park was fairly empty, so we got a seat right away. It was my lucky day! 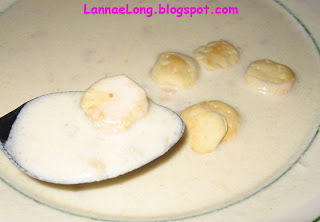 Here is my New England Clam Chowder that I have been thinking about for weeks! I just was rich, creamy, clamy, and perfect with some oyster crackers. There is no other place in the world that can make New England Clam Chowder like Durgin Park. I can't make this good either. I got a huge bowl of this chowder and ate every last drop. The problem now is that I just don't want to eat any soup with the "clam chowder" label in just any restaurant anywhere in the world, now that I the best New England Clam Chowder. I must get back to Boston soon and get some more of this liquid gold. 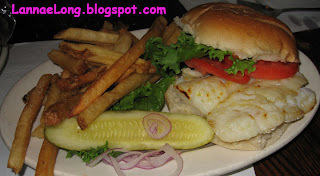 If the clam chowder wasn't enough, I got myself a broiled cod sandwich. The quote Mystic Pizza that always sticks with me is, "I thought the only two things that come through here are lobster and cod." So, I had my cod sandwich. It was really good with a little tartar sauce. This lunch really hit the spot, and really was as New England - Boston as you can get. Happy I.D. and remember kids, "heard 'round the world" is just a saying. It seems to be the year that Nashville gets a big push for better produce grown locally, and I could not be more thrilled. When I was a kid, there was a farmer's market near my elementary school in Los Angeles. When I was a teen, there was a farmer's market near my high school in Boston. It was kind of nutty that these two mega-cities had farmer's markets with locally grown veggies for us to eat, yet in Nashville, all we had were big box stores selling cardboard flavored veggies. This is all changing now, and I hold my breath in hopes it is a change that will take hold. Fresh veggies taste really good, and it is possible that kids actually do like veggies if they tasted good. 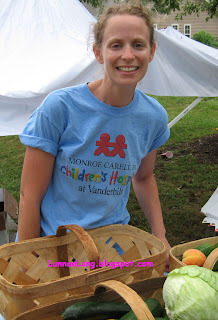 This past week I found an article in the Vanderbilt University Newspaper that said a PhD candidate, Darcy Freedman, is starting a PhD project to bring farmer's markets to three of the city's Boys and Girls Clubs once per week. Darcy calls it the Veggie Project. (click on the hot link to read the article and get directions) The VP is sponsored by Vanderbilt Children's Health Improvement and Prevention program. The idea is to bring local, organic, fresh and lots of different types of veggies to "food desert" parts of town, and let people on the way home from work, and neighbors buy great veggies. This year the VP will go through Aug 10, so I only have 6 weeks to take advantage of this. The best part of this project is that the VP comes on Thursday to a Boys and Girls Club that is just about 2 blocks off of my normal route home from work. The local grocery store has really lack luster produce, and I end up having to drive more miles to find fresher, and more varieties of veggies and fruits. For the next 6 weeks, I will be go to the VP to buy my veggies. The question I have is, when Darcy's project is over, what will happen to the VP farmer's market? Is it sustainable? Who will sustain such a wonderful project? Darcy and her interns get the produce from Delvin, Smiley's, and other local farmers and the resells the veggies at the VP locations. Delvin is a local organic farm with a wide variety of veggies, and Smiley's is a local farm with great corn and eggplant. All profits are being given to the Boys and Girls Club to help pay for the camp season. One mom said this is a good program because she can pick up her kids, and do important veggie grocery shopping for the week and save time. I agree, it is a big time saver for me to stray 2 blocks from my normal commute and buy my veggies. I just want it all. 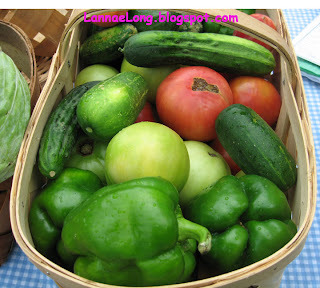 I want a large variety of veggies that are easily accessible to my lifestyle and commute. This VP fills the bill. Just for fun, I wanted to show a Japanese eggplant that I got from the VP farmer's market. Yes, the kids, Darcy and her undergraduate interns all had a good chuckle over this veggie.